The BGV Club holds two shows a year - an open show in the spring and a championship show in the autumn. The first open show took place in 1979 as part of Hertfordshire Canine Society's open show. It was not until 1983 that the club's first independent open show took place at Little Gaddesden in Hertfordshire. Over the years the club has altered the open show venue fairly regularly to allow owners in different parts of the country an opportunity to attend without travelling too far. Occasionally, when the weather has been kind, the show has taken place outdoors. 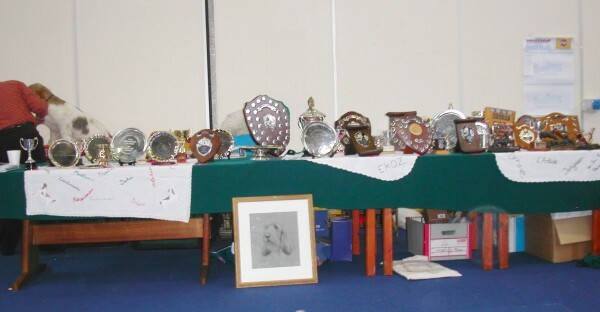 After the KC granted PBGVs championship status, the club's first championship show took place at Three Counties showground Malvern in October 1988. 116 PBGVs were entered for judge Renaud Buche (France). Since then the show venue has changed several times, traditionally being held indoors in the autumn. Whether an expert or a novice, the club welcomes all as this is a great way to meet those with a common interest and, win or lose, we all know we take the best dog home!